Theophylline which clomid online who purchased is used mostly in asthma is also contraindicated.. Bringing the songs of insects indoors is rewarding and educational. You will be surprised how nice it is to have your favorite singers in your home placed in strategic locations. The wonderful mix of sounds is soothing and very enjoyable. 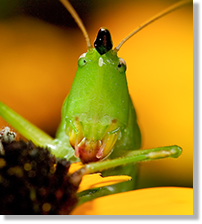 Some of our favorite singers that create wonderful sounds for you to enjoy indoors are; Common Virtuoso Katydid, Woodland Meadow Katydid, Handsome or Black-leggd Meadow Katydid, Rattler or Clicker Round-winged Katydid, Northern Bush Katydid, as well as any of the ground and tree crickets. It couldn’t be easier to keep these songsters as pets. A simple cage, iceburg lettuce, and a regular cage cleaning routine are all you need. 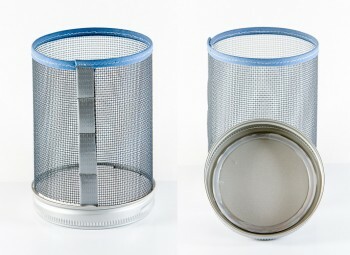 An attractive cage can be made using the following: 1) lids of canning jars, 2) metal window screening that is dark in color, 3) some plaster of Paris, 4) electrical or duct tape, 5) a stapler, 6) a glue gun. Here is how to do it: Using a hot glue gun, seal the flat top of the canning lid to the outside of the screw ring. Make certain that the seal is complete. You will need two of these lid units for one cage. Cut a portion of the window screening with scissors to 4 5/8 inches by 11 inches. Cover the cut edges of the screen with electrical or duct tape. Loop the screen into a tube and secure the ends together using a stapler. Make certain that the screen tube fits snuggly into the canning lid at both ends. If you are making more than one cage, prepare enough of the above materials for all of the cages that you wish to make. Once you have all of the lids and tubes ready, mix up the plaster of Paris per the instructions on the box. For the bottom of each cage, pour enough plaster into a sealed lid to fill it to within a ¼ inch from the top. Insert the screen tube into the wet plaster and push it down as far as it will go. Once the plaster has hardened you can place the top lid on the cage and you are ready to go. If the lid is too loose add another layer of tape around the top edge. If you are handy with a sewing machine you can use basting to finish the top edge of the screen for a more professional look. Cleaning these cages is very simple. Invert the cage slowly so that the insect can crawl upwards toward the bottom of the cage. All of the frass (waste) and old lettuce will now be in the lid. Carefully remove the lid and place the cage top down on a flat surface while you dump the waste and add fresh lettuce. With the lid on the flat surface carefully pick up the cage and place it into the lid and now invert the whole assembly back to the upright position. There you have it, a clean cage with fresh food, and the insect is still where he belongs.